Arri • Ultra Wide Zoom UWZ 9.5-18 • Juni 2014 - am-ids Jimdo-Page! 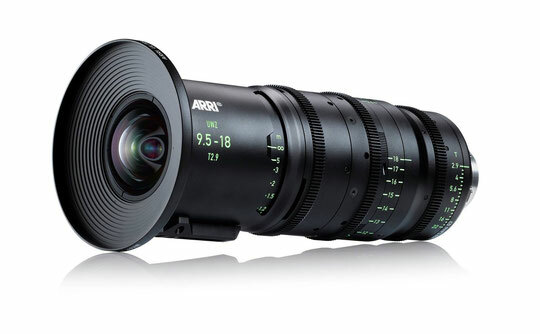 The new ARRI Ultra Wide Zoom UWZ 9.5-18/T2.9 is the first super wide-angle zoom lens for the professional cine market. With an unusually accommodating image circle of 34.5 mm, the UWZ has been designed for both existing and future generations of large-sensor digital cameras, incorporating patented, cutting-edge lens technologies that overcome known problems with previous wide-angle zooms. The optical performance of this new telecentric design is comparable to, or even exceeds, that of high-end wide-angle prime lenses. For maximum flexibility and cost efficiency on set, the UWZ can easily replace a complete range of wide-angle primes.